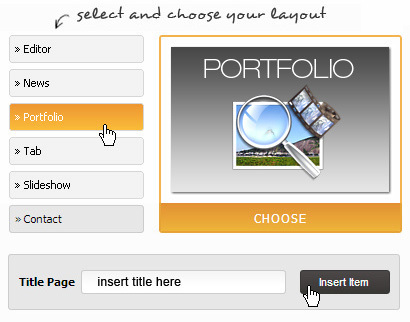 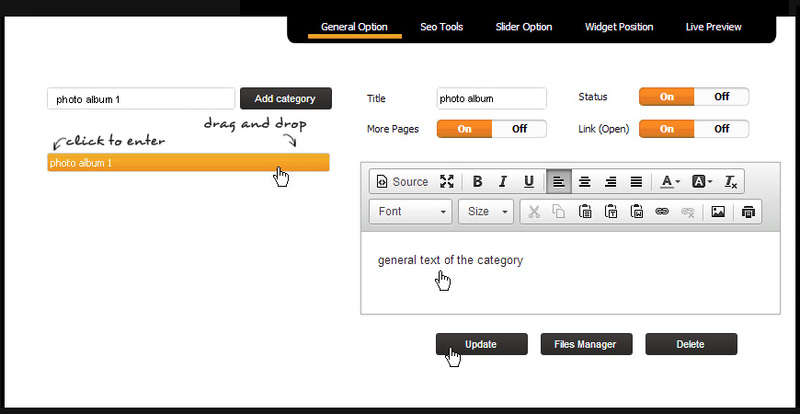 The Portfolio allows you to insert multimedia elements, images, organized into categoriesÂ (menu andÂ submenu). 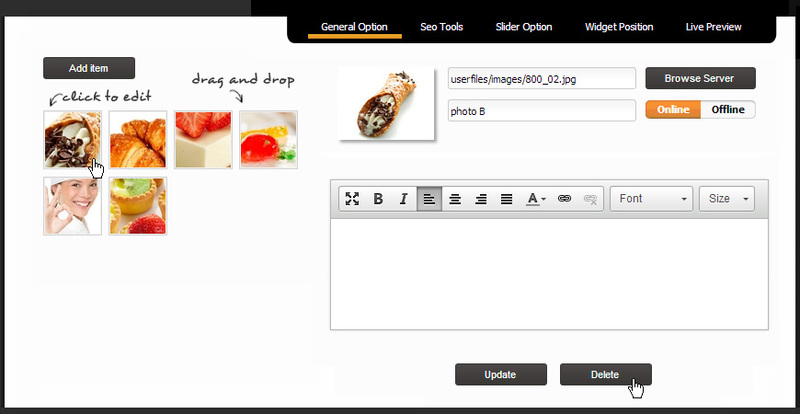 Â ThanksÂ to the technology drag & dropÂ you can magane this options. 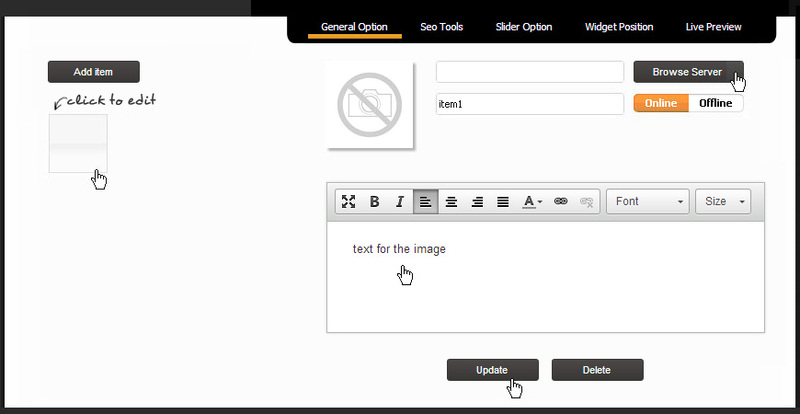 If you want to cancel the element you have select it and click on DELETE.